Nepal Honeymoon Tour is specially designed for those newly married couples. Honeymoon Tour generally takes you to the mesmerizing mountain, lakes, valleys, and forest. The Honeymoon is the most awaited moment of a married life; hence “Above the Himalaya” has designed a Nepal Honeymoon Tour package that ensures you the best moments of the life. Our country is not only known as the land of colorful cultures, ancient history, and the world’s tallest mountains but it is also a beautiful, romantic and tranquil destination for honeymooners. Whether you want to explore an exotic place, wildlife, and floral forest or just pamper your partner with a romantic dinner in the lap of mountains and experience the best sunrise and sunset with your beloved, Nepal has all you need. 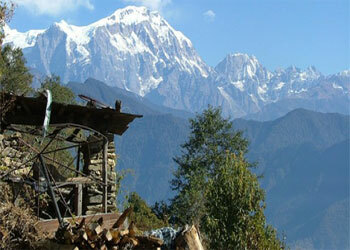 Nepal Honeymoon Tour takes you around some of the most romantic, breathtaking scenery in the world. Tropical sunsets and radiant waterfalls are just some of the picturesque natural wonders that you will meet during your Honeymoon tour in Nepal. 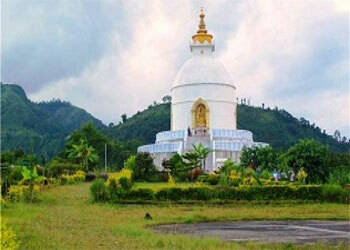 Some of the famous destinations for this tour are Bhaktapur, Pokhara, and Chitwan. You will also get the chance to explore the colorful cultures and ancient history and mostly the people who are known for being kind and friendly people in the world. Therefore, Nepal Honeymoon tour is considered as one of the best destinations for anyone who likes to participate in various activities during their Honeymoon and also for those who likes their Honeymoon to be more of the romantic Holidays. 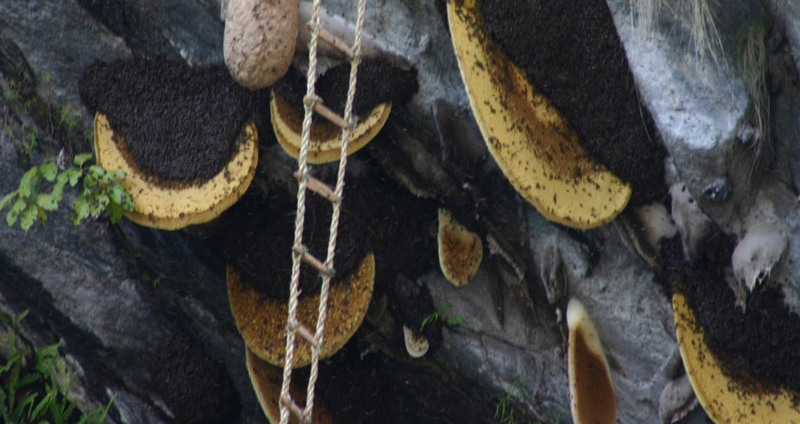 Our team of experienced guides and porters will help you to make your honeymoon vacation more enjoyable and memorable in every corner of the tour. The honeymoon package described below is designed to be flexible and we can change the itinerary for your comfort, where you’re only concerned total enjoyment and lots of fun making your honeymoon memories special and vivid enough to last a lifetime. We “Above the Himalaya Trekking Pvt. Ltd” invite you to make your honeymoon worthwhile and romantic in Nepal. We ensure you to give you the best moments of your life. Transportation: Good Condition Private Car/Van depends on group size for tour with good driver, for long drive Tourist Bus/Flights are available. We will meet you at Kathmandu Tribhuvan International Airport and transfer to your hotel. When you have had your time to settle in and freshen up after your long fight, you will be invited to visit our office for a briefing about your program. During this visit we will help you check your equipment and facilitate the processing of other necessary items such as National Park Permits, special permits etc. If you arrive at night we will have same discussion in next day morning after your breakfast. The very next morning, after breakfast you will leave for a full day sightseeing tour around Kathmandu valley. You can visit sacred Pashupatinath Temple and Swyambhunath, very ancient and essentially enlisted in UNESCO World Heritage sites. The biggest Buddhist Stupa at Boudhanath and the fine arts and historical architecture of Kathmandu Durbar Square reflecting the ancient Nepalese culture are highlighted on our guided tour. On return to your hotel, you will have time to explore the local area, have dinner and perhaps take a leisurely stroll through the popular streets. 1 hour 40 minutes drive follows to Nagarkot, 2175m above the sea- a level beautiful spot which provides an excellent view of the sunset over the Himalayan range and also Mount Everest can be seen on a clear day. The terraced farmlands on the sloping hills, green hills and the views of the river valleys are superb! After breakfast and some relax time in Nagarkot we will drive to Dhulikhel – the next destination, about 1 and half hour drive takes you to Dhulikhel, check in to hotel, you can look around the Dhulikhel town. After breakfast and some leisure time, We will have a short drive to visit the ancient and historical city Bhaktapur ( the city of Devotees) after Bhaktapur we will visit Changu Narayan Temple-dedicated to Lord Vishnu. It was built in the 4th century and has a stone inscription which is the first recorded history of Nepal. Its one of the UNESCO recognized heritage sites of Nepal.drive back to the hotel.You will spend the night in your hotel in Kathmandu. Take a flight of about 25min to Chitwan or you can have drive for about 5hr, viewing the spectacular natural beauties through the way. Welcome to Chitwan National Park. There will be a short briefing on the program and our facilities. An exciting elephant ride (Jungle Safari) offered for guest to explore the jungle and wildlife at the evening. You will be able to see the one-horned rhinoceros, several types of deer, monkeys, wild boar, bison, sloth bear, leopard and, if lucky, the Royal Bengal tiger. Spend a splendid night in a honeymoon room in hotel. Day 06: - Full day tour in Chitwan National Park. After tea or coffee, a nature walk on foot to encounter with the environment will introduce the main features of eastern Chitwan; Sal forest, open grassland and reverie jungle. Marvelous views of some species of birds, plants and other wildlife. Learn more about these fascinating animals during a visit to our elephant stable. After lunch, traditional dug-out canoe takes you on a silent trip down the Rapti River to view aquatic birds and the animals of the river banks. At the evening,you will be greeted by Tharu cultural show with dancing. After breakfast, a nature walks on foot to encounter with the environment. You can go on the bird watching tour. After this we will leave to go to Pokhara driving for about . Stroll around the streets of beautiful Pokhara city at evening. A very well managed city famous for tourist because of its moderate temperature and tourists places makes your night more amazing to spend. Pokhara is another famous destination of Nepal; a dreamland to be called. Early in the morning we can take a taxi to the village of Sarangkot set high above Pokhara on a ledge. Here you will be able to view the beautiful sunrise as it spreads slowly across the spectacular snowcapped Himalaya mountain ranges. 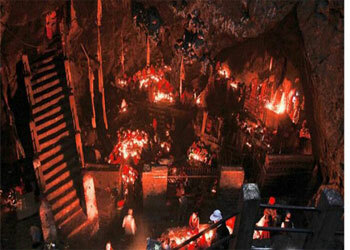 After lunch visit famous David’s fall, the Tibetan refugees’ camp, Mahendra cave and ancient museum. In the evening, a boating trip on Phewa Lake will be followed where you can enjoy the spectacular views of Annapurna Himalaya Range reflected in all it’s glory in the calm green water of the lake and visit Bindavasini Temple lying in middle of the lake. 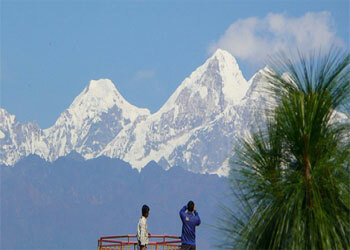 Day 09: - Pokhara to Kathmandu, Take a 25 minutes flight or 6/7 hour Drive. You can take a flight or drive by tourist bus/Private car to Kathmandu. At the evening you can have your last night in Nepal enjoying the Nepali cultural dinner show, taking some beautiful snaps and making up your mind for the returning journey. (Or you may stay longer for short tours such as drives at National parks, rafting, Tibet tours, mountain flight etc). We will drop you to the International airport to catch your flight back to your home. Wish you best of luck for rest of your life having very great experiences and adventures. Hotel Accommodation in Kathmandu & Pokhara including breakfast.